Each week in our BNI lunchtime meeting, I am expected to get up and tell other members and visitors a little bit about my work in a sixty second snapshot. If you want to find out a bit more about our weekly meetings, skip to the bottom of this page. "My name is Jon Ewing and I'm from inframes.com ltd in Reading, a design and development company that builds websites for businesses. "You should refer business to me because I have been making websites for 15 years and I am starting to get quite good at it. "The school holidays are coming to an end and it's no coincidence that last week I was giving some advice to a single mother who is looking to start up her own business selling children's clothes online. "I was able to talk her through some of the intricacies of setting up an ecommerce business and gave her a ballpark figure of around £500 + VAT for the initial design and devlopment plus ongoing monthly fees of £29.99 + VAT for hosting. For that, she'll get a fully-working virtual business. "So this week, as mums around the country get a little free time to contemplate the future after two months of full-time parenting, my ideal referral would be a single mother who is ready for the challenge of starting her own web-based business in 2011 and doesn't know where to begin. 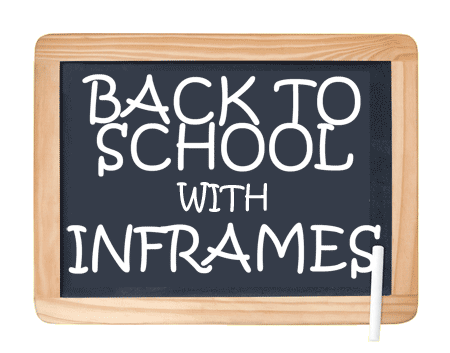 "To find out how good your website could be, look into inframes." And of course, that's just an example, because at inframes we never make the same website twice and every job is tailored to the needs of the business. I am part of a growing new chapter of the BNI business networking group and we're looking for other Reading-based small business professionals to refer business to. We meet between 12.15pm and 1.45pm on Wednesdays. If you'd like to come along to a lunch, please drop me a line or give me a call and I'll put you in touch with our organiser. There's absolutely no commitment required – you just pay a tenner, which covers the cost of lunch at the Strada on the Oracle Riverside - and you'll have a chance to meet existing members and other visitors, introduce your business and of course hand out business cards.